Whether you're joining giffgaff or leaving for a different network, it's a straightforward process to keep your old phone number. If you're leaving giffgaff and joining another network or if you're leaving another network in order to join giffgaff, it's easy to keep your old phone number. All you need to do is to request a PAC Code: it's totally free and the entire process of transferring your phone number should normally take no longer than one working day. 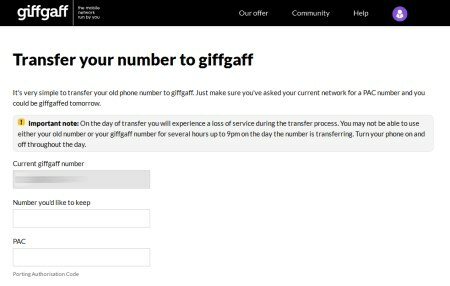 Transfer your giffgaff phone number onto a different network. Transfer your phone number onto a new account with giffgaff. Transfer your phone number from one giffgaff account to another giffgaff account. If you're leaving giffgaff and joining another network, you can take your phone number with you. Start by asking giffgaff to issue you with a PAC Code. You can get a PAC Code from giffgaff by requesting one online at giffgaff.com. Alternatively, call or text 43431 to get your PAC Code. If you're joining giffgaff from another network, you should ask your old network to provide you with a PAC Code. The PAC Code will allow you to transfer your number to giffgaff. For a full list of the latest giffgaff deals, please see this page on giffgaff's website. Once your new phone or SIM card arrives from giffgaff, turn it on and make sure everything's working properly. If you need to return or change the new handset/SIM card, please do this before you transfer your phone number. Once you're happy to continue with the transfer, your PAC Code should be entered on giffgaff's online form. The PAC Code should be submitted through a form on giffgaff's website. If your PAC Code is provided before 3.00pm, your phone number transfer will normally be scheduled for the next working day (Monday to Friday only, excluding English bank holidays). For PAC Codes submitted after the 3.00pm cut-off, you'll need to wait one extra working day for your number to be transferred. For more information, please see the giffgaff website. You can also read our full guide on using a PAC Code: there's frequently asked questions amongst other tips for transferring your phone number. For discussion, please see the comments on this page. They show other people's experiences either when using a giffgaff PAC Code or when transferring their phone number from another network to giffgaff. We would love to hear your comments: either about using a giffgaff PAC Code or transferring your phone number from another network to giffgaff. The comments below are all from people who've done the same thing in the past. 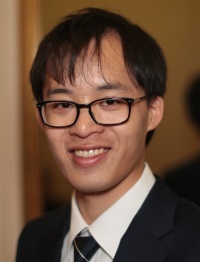 You can contribute by adding your own comments here. I’ve got my PAC No from Vectone. 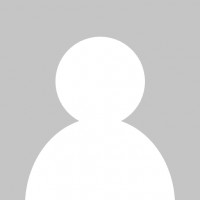 I’m moving to GiffGaff – who seem good. The instructions say to check the GiffGaff SIM works. What does this mean ? Do I register the GiffGaff SIM & put money on it then put the SIM in my phone and see if I can phone out & receive calls ? Then change back to my Vectone SIM. Tell GiffGaff my PAC No. Wait till the Vectone SIM doesn’t work. Then put the GiffGaff SIM into the phone and the Vectone phone No will have transferred to GiffGaff & away I go. So 1. What exactly do I do to check the GiffGaff SIM works ? Sally transferred a phone number from Vectone Mobile to giffgaff. Many thanks for your question. Yes, I’d put the giffgaff SIM card in your mobile phone and just make sure everything works correctly (e.g. that your mobile phone accepts the SIM card, that you’re able to get coverage where you live and make outgoing phone calls, etc). Once you’ve done that, you can give your PAC Code to giffgaff and move your phone number over (strictly speaking, it isn’t necessary to make sure your giffgaff SIM card actually works but I’d always recommend doing this whenever possible to avoid potential problems at a later date e.g. sometimes people forget to unlock their mobile phone, and are then left without a working SIM card until that problem is resolved). With regards to 2, yes, I would leave your Vectone Mobile SIM card in until the coverage disappears. You can then switch it for your giffgaff SIM card which will then have your phone number transferred to it. Craig Haynes transferred a phone number from O2 to giffgaff. Many thanks for your comment. No, O2 isn’t allowed to refuse you a PAC Code – it’s your legal entitlement as described here. There would, however, be allowed to charge you an early exit fee if you end your contract early.